"In 1922–23 Near East Relief evacuated 22,000 children from ophanages in interior Anatolia to Syria and Greece. These two pictures show part of the 5,000 children from Harput en route on donkey back and foot"
Denmark's minister to the Ottoman Empire during the First World War stated, "The Turks are vigorously carrying through their cruel intention, to exterminate the Armenian people", Carl Wandel wrote on 3 July 1915. 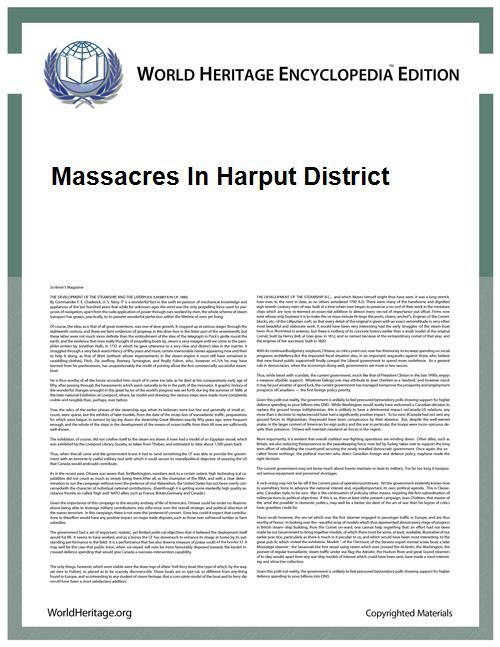 The Bishop of Harput was ordered to leave Aleppo within 48 hours "....and it has later been learned that this Bishop and all the clergy that accompanied him have been ... killed between Diyarbekir and Urfa at a place where approximately 1,700 Armenian families have suffered the same fate ... In Angora ... approximately 6,000 men ... have been shot on the road ... even here in Constantinople (Istanbul), Armenians are being abducted and sent to Asia ...".